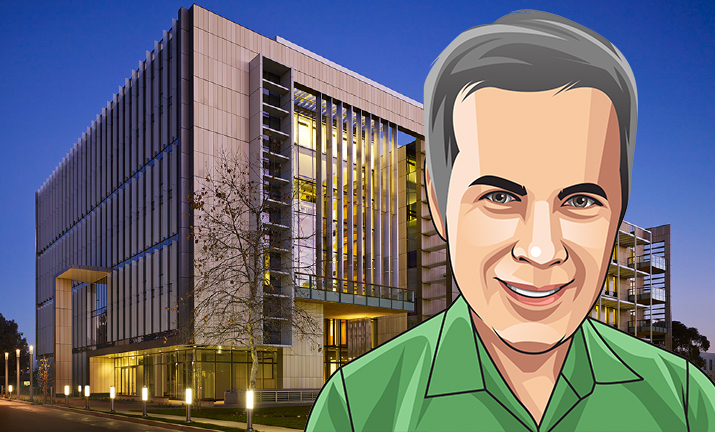 Victor Nizet, MD is Professor & Vice Chair for Basic Research in the Department of Pediatrics, Professor of Pharmacy & Pharmaceutical Sciences, and Chief of the Division of Host-Microbe Systems and Therapeutics at UCSD. He also is faculty lead for the new UCSD Collaborative to Halt Antibiotic-Resistant Microbes (CHARM), debuting in 2019. Prof. Nizet received his undergraduate education at Reed College in Portland, Oregon, completing a senior thesis in evolutionary ecology with Robert Kaplan. He received his medical training at Stanford University School of Medicine, and was introduced to the science of bacterial pathogenesis as a research assistant in the laboratory of Prof. Gary Schoolnik. Prof. Nizet completed a Residency and Chief Residency in Pediatrics at Harvard University's Children's Hospital in Boston, and a Fellowship in Pediatric Infectious Diseases at the University of Washington's Children's Hospital in Seattle. During his fellowship training, Prof. Nizet studied bacterial pathogenesis with Profs. Craig Rubens and Arnold Smith, working on molecular pathogenesis of group B Streptococcus and Haemophilus influenzae, respectively. In 1997, Prof. Nizet joined the faculty of the Department of Pediatrics, Division of Infectious Diseases at the University of California, San Diego. Ever since, his laboratory offers a variety of training opportunities for UCSD graduate and undergraduate students, clinical infectious diseases fellows and PhD or MD/PhD postdoctoral fellows. His unique research Division of Host-Microbe Systems and Therapeutics began in 2007, and brings together a diverse group of scientists and physicians for interdisciplinary research on the interactions of humans and the microbial world in both health and disease. Fundamental principles of microbiology, immunology, pharmacology, -OMICs (genomics, proteomics, metabolomics, and the human microbiome) and state-of-the-art systems biology are focused on the pathogenesis of common childhood infectious diseases and inflammatory disorders, to inspire innovative discovery programs and translational studies of new drugs and interventions to restore optimal health in childhood and throughout life. Prof. Nizet also has various leadership roles in the UCSD Biomedical Sciences Graduate Program, MD-PhD and PharmD-PhD Programs, IRACDA postdoctoral fellowship training program, and NCLAM junior faculty development program. The Nizet Lab itself is a basic and translational research laboratory focused on discovering virulence factors of leading human bacterial pathogens, elucidating mechanisms of host innate immunity, and novel approaches to infectious disease therapy. Dr. Nizet has authored over 370 peer-reviewed publications including several in the most prestigious general scientific journals. He has collaborated with several biotechnology interests in developing new antibiotic and immune-based therapies against drug-resistant pathogens. Prof. Nizet's work has been recognized by the Sidney Farber Award, the Pediatric Infectious Diseases Society Young Investigator Award, the Edward Mallinckrodt, Jr. Foundation Scholar Award, the American Heart Association Established Investigator Award, the American Lung Association Career Investigator Award, a Stephen Silberstein Senior Fellowship of the American Asthma Foundation, and the 2008 E. Mead Johnson Award for Research in Pediatrics. He has been elected to the Society for Pediatric Research, American Pediatric Society, American Society for Clinical Investigation, Association of American Physicians, and American Academy of Microbiology. In 2014 he received the UCSD Chancellor's Award for Excellence in Postdoctoral Scholar Mentorship, in 2017 the UCSD Chancellor's Associates Award for Excellence in Research in Science and Engineering, and in 2018 the inaugural UCSD Health Sciences Award for Excellence in Faculty Mentoring.